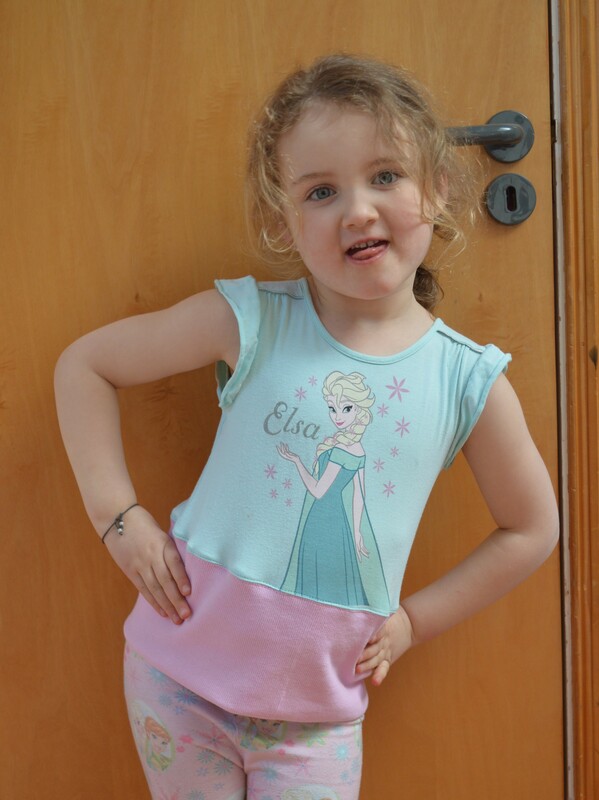 So emily had this dress she loved – when she put it on I realised it was officially too small, just in length. 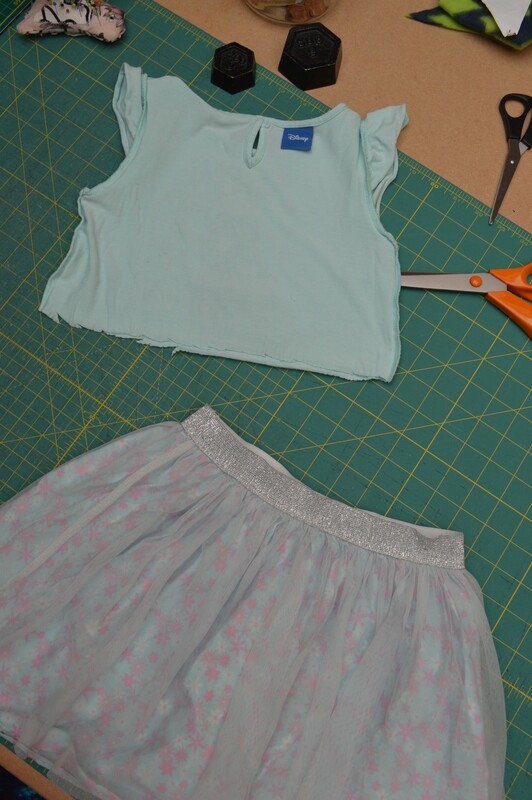 She didn’t want to let it go so I told her I could up cycle it to a skirt and top so here is my little tutorial on how I did it. 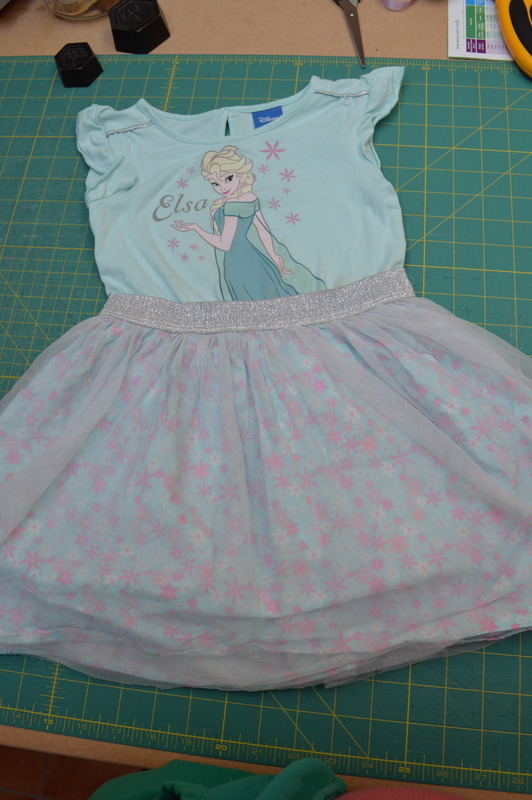 I was super lucky with this dress as it already had elastic at the wast, so to create the skirt I just cut it off from the top. Here you can see it really was too small for Emily. 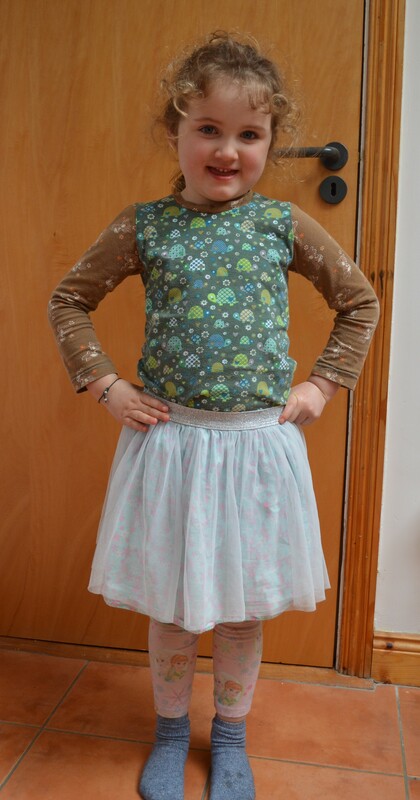 So the top part was a little harder and to be honest I’m not as happy with the top as I am with the skirt but we’ll give it a go for a while – if need be I can up-cycle it again. 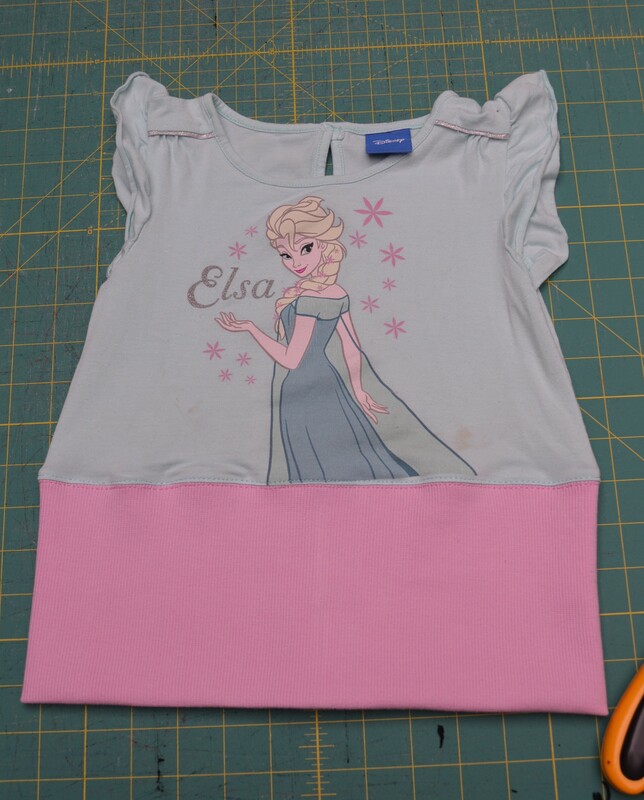 So the bottom of the top was all wonky, first step was to cut it so it was totally even. 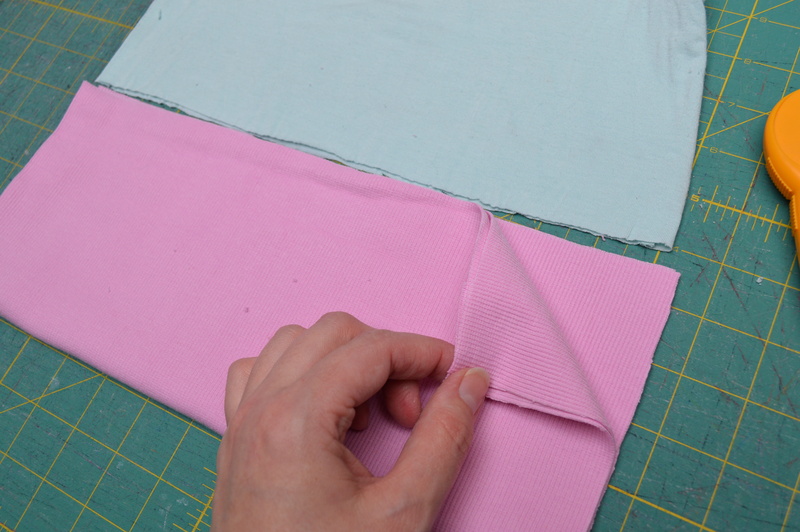 Next I measured up a piece of fabric same width of the top and double the length that I want the finished cut to be. 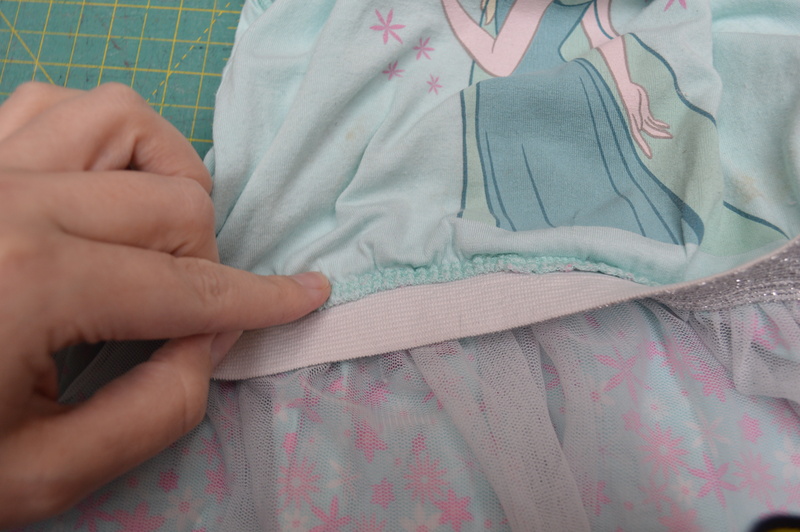 The I needed to sew or overlock along the short open edge with right sides of fabric together. So you end up with a tube. 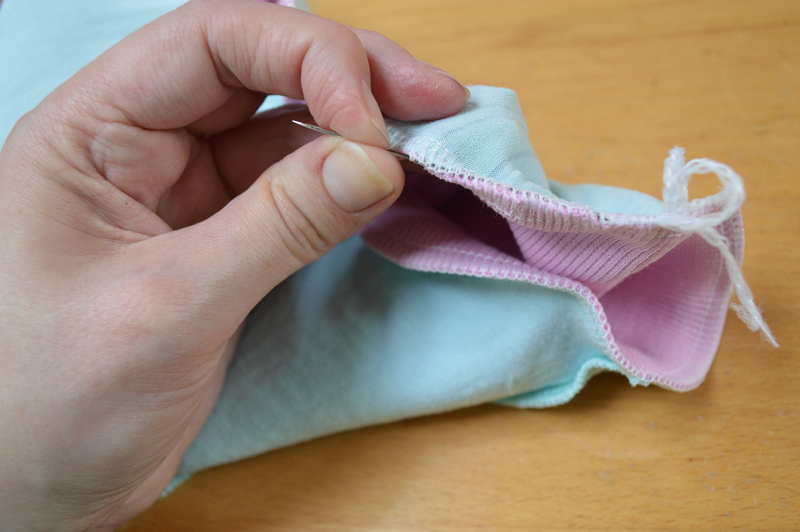 Once sewed fold together wrong sides together. 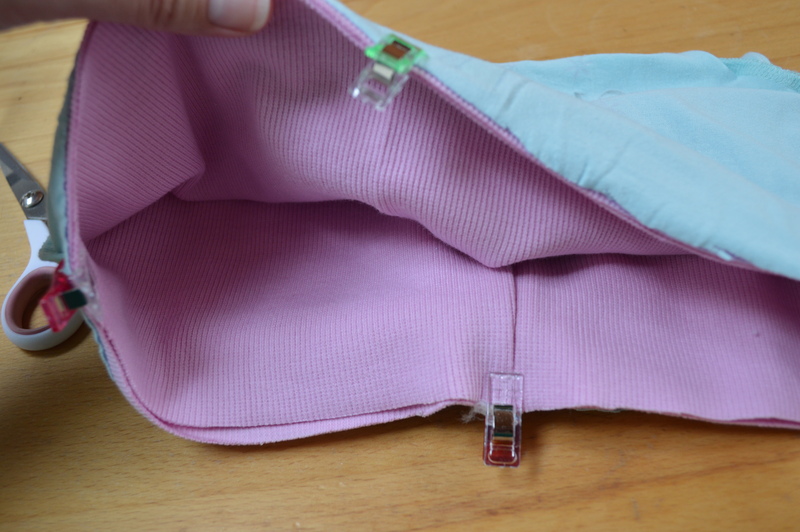 Next, with the top inside out put the fabric “tube” you just made inside the top so right sides are touching and then pin together in at least 4 points – I do sides and middles. 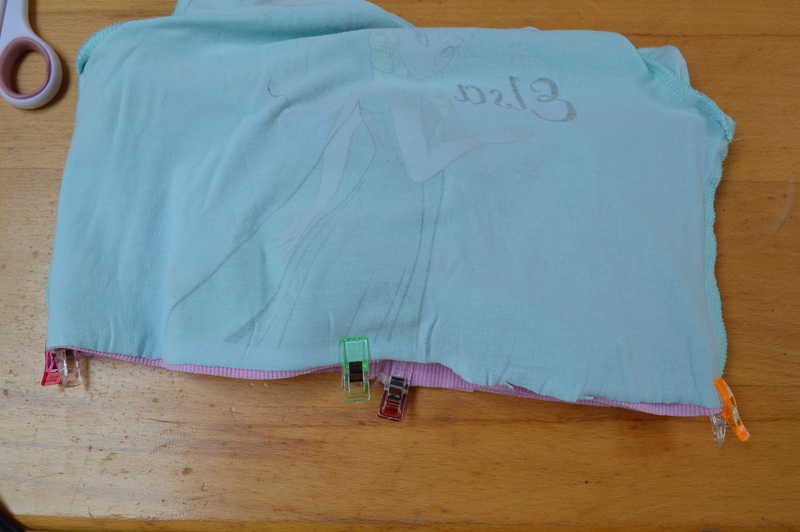 So you will have 3 layers of fabric to sew together (2 from the tube and one from the top). 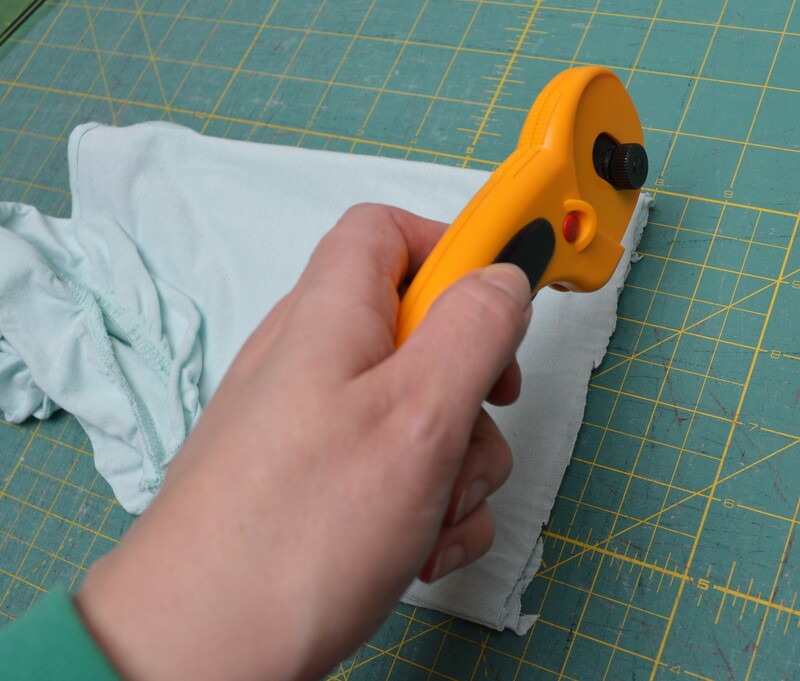 And sew. 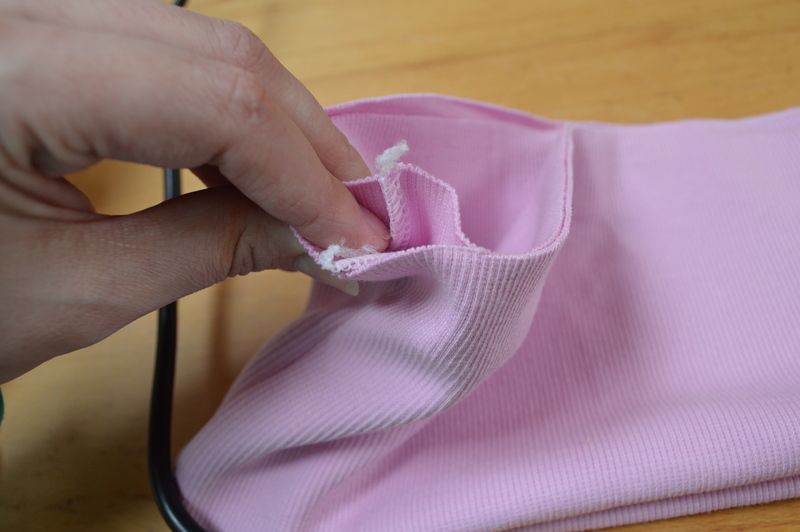 *this is the same technique I use when sewing cuffs and neckbands on. 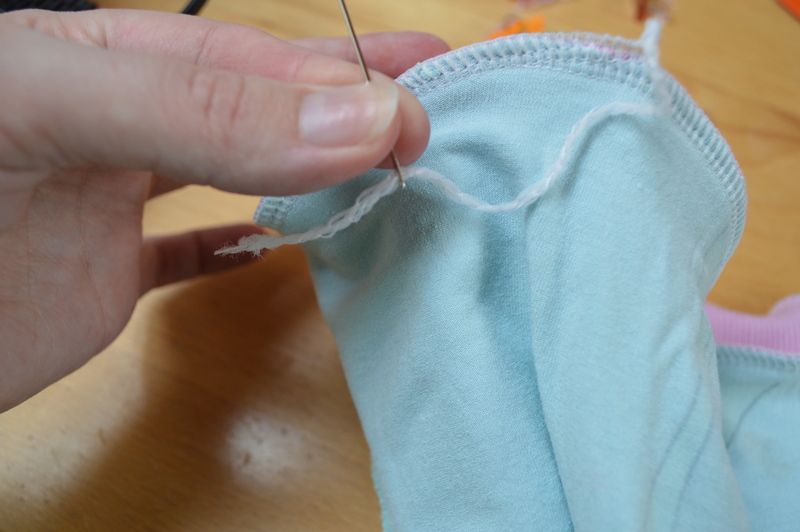 To finish I pull the overlocker threads back through themselves and then cut. I also top stitched the join with a twin needed (you can see that in the modelled pics), you don’t have to top stitch but the top was quite wavy and I was hoping it would flatten it out (it did a little). 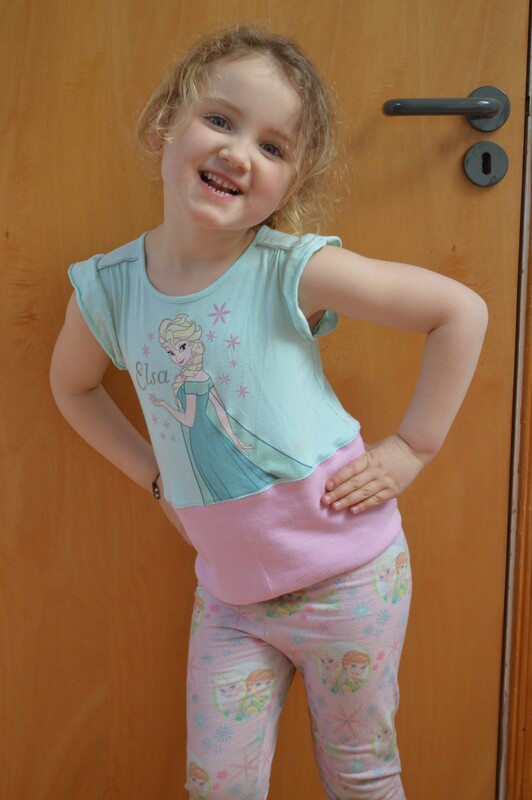 So if you have anything in your cupboard that could do with a little upgrade why not try and do it yourself, you may end up with a whole new outfit.